So, another refashion! I found this gorgeous floral print dress at Goodwill and I just couldn't say no. Problem? The dress was a size 6, and didn't fit me, and it also was that awkward-I'm-a-grandmother-mid-calf-length. I cut the dress into three pieces. The middle piece I discarded (due to it not fitting my hips) I then used the bottom piece as the skirt, gathering the back to make it fit flush with the bodice. I sewed it on using a zigzag stitch, because this garment is made of knit material. Now I have a cute mini dress! But it still needed some pizzaz! I decided to add a triangle cutout to the back. All I did was cut out a triangle from lace and pin it to the dress, sew around, and then remove the material behind the triangle. I'm sure this isn't the "by the book" way you are supposed to do this, but it worked for me. Last, I added a pretty collar to make the dress pop! 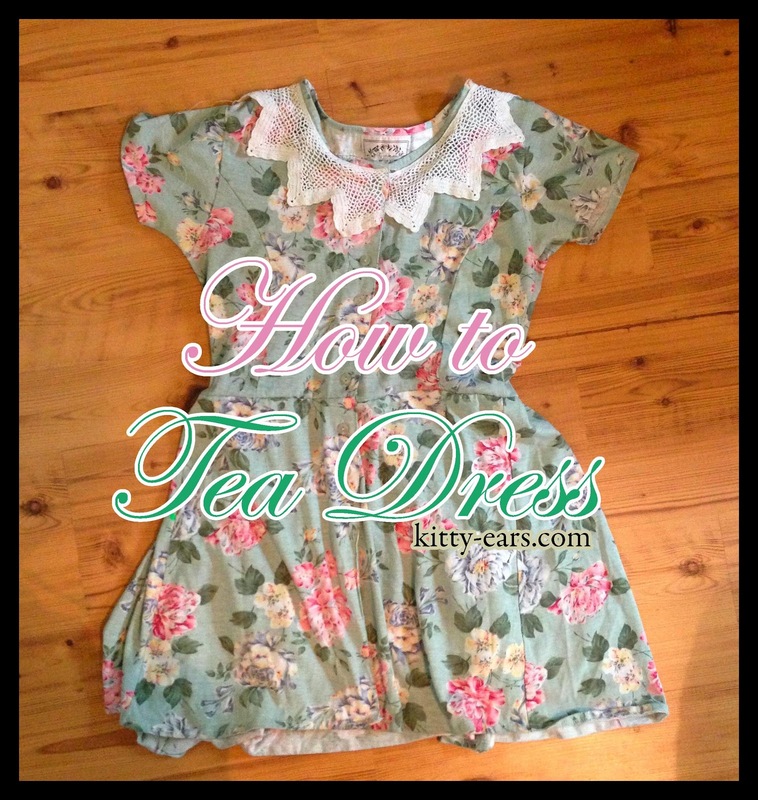 I can't wait to wear my new tea dress! I found that I love refashioning things. You get a whole new outfit with minimal work (less then creating something new totally from scratch). Have you refashioned anything lately?